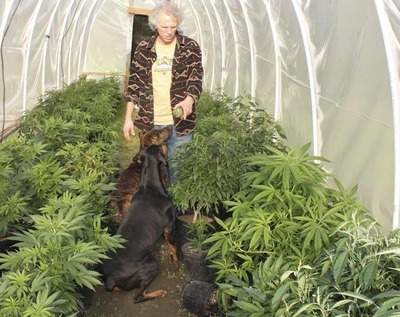 Tim Blake, a longtime marijuana grower in Mendocino County, tends to his outdoor greenhouse in April near Laytonville, California. ​It’s no secret that Toke of the Town supported California’s Proposition 19 all the way down the line. But it’s also important to try to understand the mindset of those who voted against it, especially within the cannabis community. Toke‘s Northern California correspondent, Jack Rikess, got a chance to talk with a couple of growers explained why many in their community voted against the measure. Richard Lee’s office is issuing the statement about how close we came. That the fight isn’t over. Forty-four percent of Californians are for legalization. This is all very positive. This is just the beginning… I’m paraphrasing. We owe a lot to Richard Lee and I’m sure he owes a lot to many different people today. He put his name and money on the line and paid the penalty of being demonized by his own side, pot smokers who were suspicious of his motives. Yet it was Richard who was aggressively pushing Proposition 19 throughout the state with his army of Oaksterdamians, his political power and his dough. Every good campaign needs a leader. Richard, along with many others who knocked on unfriendly doors, called the voters during game time and made an effort where others sat; they deserve our respect and gratitude. For the weeks leading up to the election, everyday there would be door-hangers with a new political message or candidate advertisement, seeking my vote and endorsement. Because I’m a registered Democrat, I only had the Dems’ literature hanging from my knob daily seeking my vote. Not one of the candidates, whether it was Jerry Brown, Barbara Boxer, some Democrat running for dog catcher, etc… Not one of them would endorse Proposition 19. That’s a bad sign. That needs to change. I reported last week that the growers up north were having a change of heart concerning Prop 19. Many of the people who I spoke to told me, “We’re voting for it, no matter how many people say we’re not.” Well, that didn’t happen. I called up north this morning to talk to some of the growers and apparently they had another change of heart, and voted against Prop 19. I asked Mendocino icon Tim Blake what he thought. What do you think the ramifications are for you and the growers up north because of Prop 19 not passing? 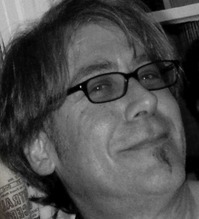 Editor’s note: Interviewer Jack Rikess, a former stand-up comic, writes a regular column most directly found at jackrikess.com. Jack delivers real-time coverage following the cannabis community, focusing on politics and culture. His beat includes San Francisco, the Bay Area and Mendocino-Humboldt counties. He has been quoted by the national media and is known for his unique view with thoughtful, insightful perspective.